Photo by: Dickinson Police Dept. The officer did a field test and verified it was methamphetamine, according to the Dickinson Police Department. 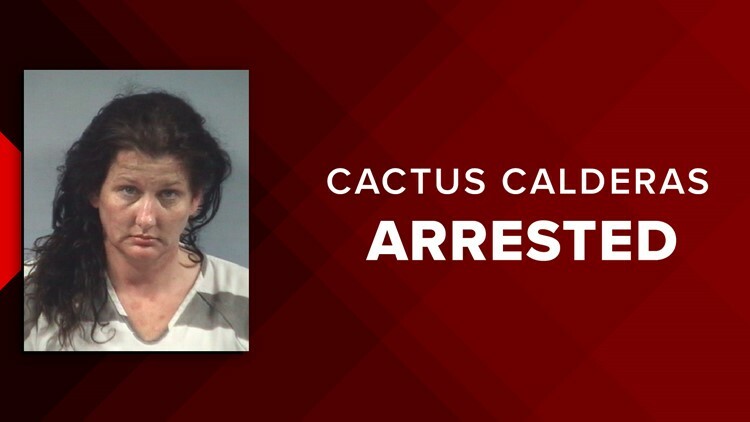 Cactus Naomi Calderas, 43, was arrested and charged with possession of a controlled substance. Calderas was pulled over Saturday in the 1300 block of W. Parkwood Avenue because she didn't use her turn signal. It went downhill from there. The officer who stopped her said Calderas appeared to be “very nervous” but did give the officer consent to search her vehicle. The officer patted Calderas down and found four butane lighters and a small pipe. She then searched the suspect’s purse and that’s when she found the crystals.